COMPANY PROFILE Capital & Counties Properties PLC is a property management & development company. Its assets comprise of investment and development property at Covent Garden, Earls Court and the exhibition halls at Olympia. Capital & Counties Properties PLC (Capco) is a property management company that operates a portfolio of real estate assets. The company’s assets are concentrated around Earls Court Properties and Covent Garden in central London. Rental income is gained from tenants that include retailers, restaurants, and residential spaces. Covent Garden constitutes the majority of Capco’s portfolio, but the firm has continuously engaged in land assembly and land enablement in other districts. Properties like the Lillies Square development are constructed through joint ventures and primarily include homes for private or affordable markets. 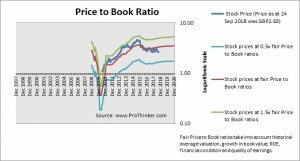 At the price of GBP2.63 as at 24 Sep 2018, Capital & Counties Properties Plc is trading at a Price to Book Ratio of 0.8 times current book value. 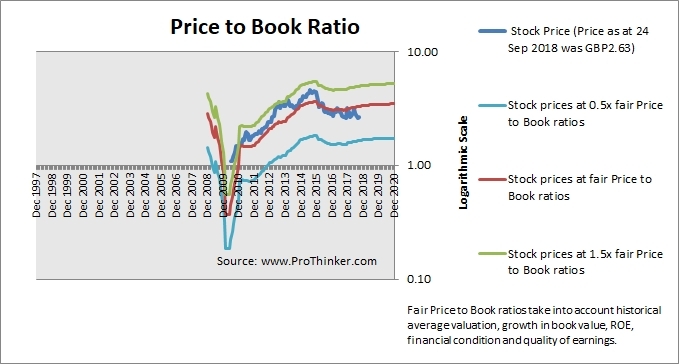 This is a 20.0% discount to current fair Price to Book Ratio of 1.0 times.